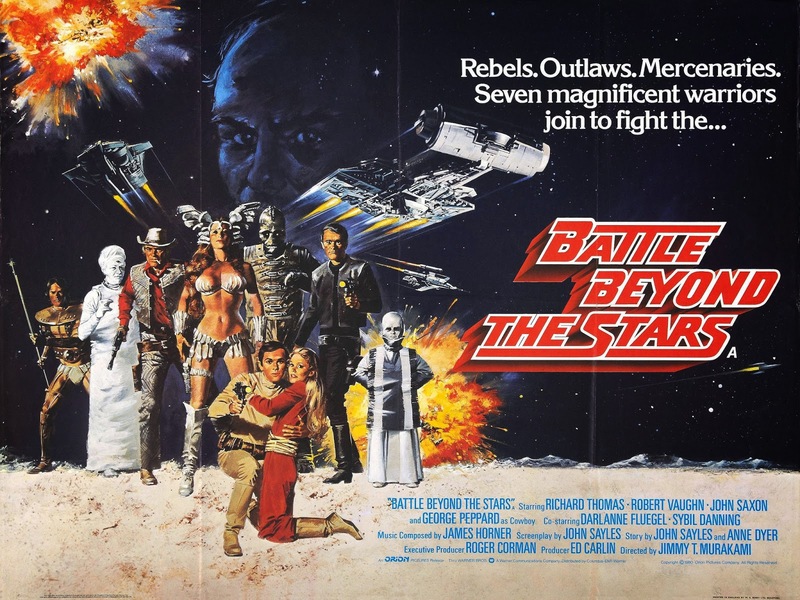 "Battle Beyond the Stars" is the best "Star Wars" ripoff ever. The film possesses a unique and colorful charm leading to its enduring status as a cult film; sort of a low budget (very low budget) "Guardians of the Galaxy" of its day. Of all the “Star Wars” inspired ripoffs, “Battle Beyond the Stars” (1980) has a unique place in film history. The Roger Corman produced space opera opened (mostly at drive-ins) on September 8, 1980. The only mainstream publicity the movie received was on “Siskel & Ebert at the Movies” where it earned their infamous dog of the week. Actually, that is a complement when one considers some of the other films Siskel and Ebert gave that award to, including David Croneberg’s prophetic masterpiece “Videodrome” (1983). Several factors make “Battle Beyond the Stars” unique among the post “Star Wars” late 1970s sci-fi shlock. First is the “Seven Samurai” inspired script by acclaimed independent filmmaker John Sayles (“Lone Star”, “Eight Men Out”). Sayles was a master of low budget genre writing at the time. He also scripted two of Joe Dante’s early classics, the “Jaws” (1975) ripoff “Piranha” (1978), and arguably the greatest werewolf movie ever made, “The Howling” (1981). 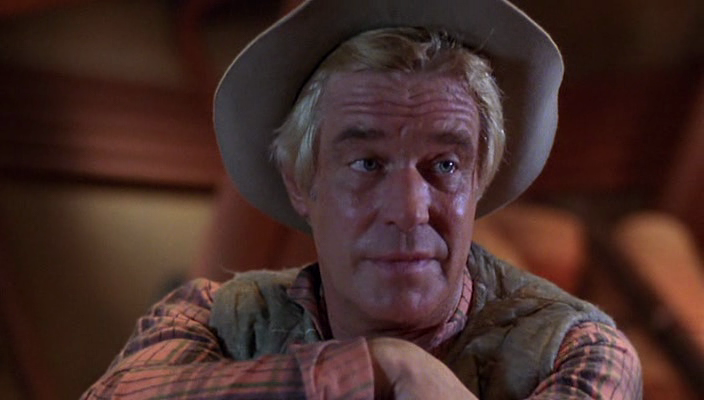 Second is the bizarre and colorful cast full of Hollywood legends and cult actors including John Saxon, Sybil Danning, Richard Vaughn, Darlanne Fluegel, and George Peppard. Casting Richard Thomas, John Boy Walton himself, as the young swashbuckling hero who must lead this band of adventures into battle is easily the greatest casting coup in the history of low budget cinema. This movie knows how to have fun. Third, there is the special effects and art direction, specifically the design of the spaceships. The ships have a very similar look to the vehicles in “The Terminator” (1984), “Aliens” (1986), and “Avatar” (2009). That is because they were created by none other than James Cameron who was hired as the movie’s model maker and ended up taking over the art direction and production design. 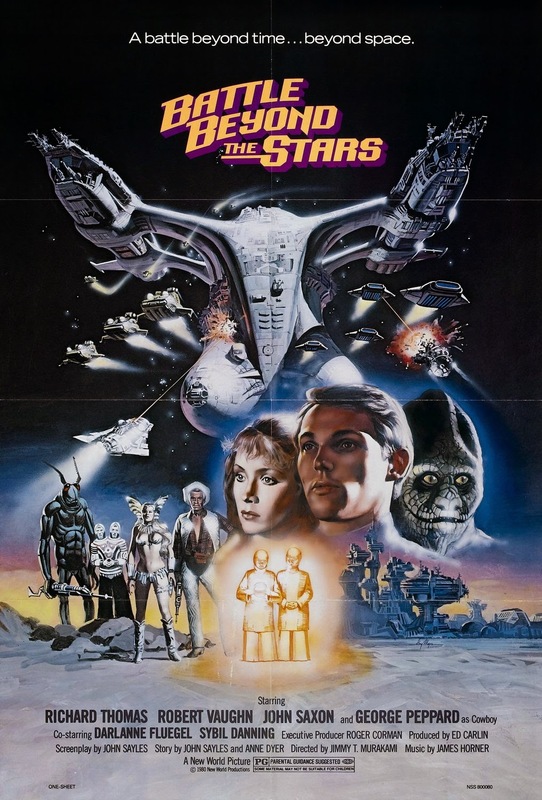 Fourth, and most significantly, what gives “Battle Beyond the Stars” its special allure is the rousing musical score composed by a 26 year-old James Horner. Like the rest of the movie, the music was made on a low budget. But even though the score was created in less than ideal conditions with an undersized orchestra of 62 players, the soundtrack has an astonishingly big sound. The heroic main theme from “Battle Beyond the Stars” is a stirring march. It is a triumphant, pound your fists in air kind of theme wrapped up in a crescendo of soaring nautical flavored adventure music. The score is often referred to as “Star Trek II: The Warm-up” and indeed much of material that Horner would use for his 1982 classic “Star Trek II: The Wrath of Kahn” gets a trial run here. “Battle Beyond the Stars” has a wonderful, fully developed, irresistible love theme, one of Horner’s best. There is also some exciting action music that would serve as the template for later, far more polished scores such as the aforementioned “Star Trek II” (1982), “Krull”(1983), and “Aliens” (1986). 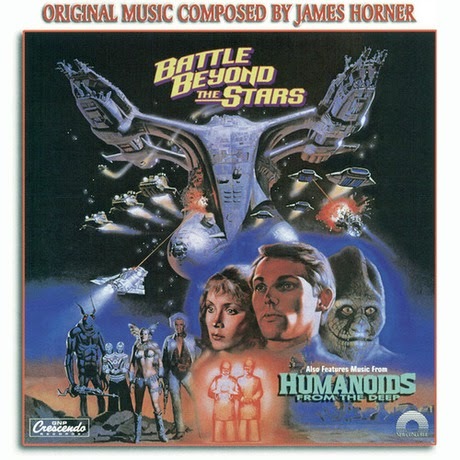 The music from “Battle Beyond the Stars” remains as popular as ever among soundtrack collectors and Horner fans and has been released twice on CD. First in 2001 by GNP Crescendo. Then in 2011 a new, expanded album was released by BSX records.